RoboPorter is currently being tested at the regional airport by Yaskawa Electric for a few hours each afternoon. As you’ll see from the photo gallery over at Japanese site Robot Watch, the machine looks something like a tiny flatbed truck and includes a screen that serves as its human face. Operation is pretty simple – a would-be user simply approaches the robot and tells it orally where to take the bag he’s just handed over. There’s a touch-screen with a map of the facilities as an alternative. 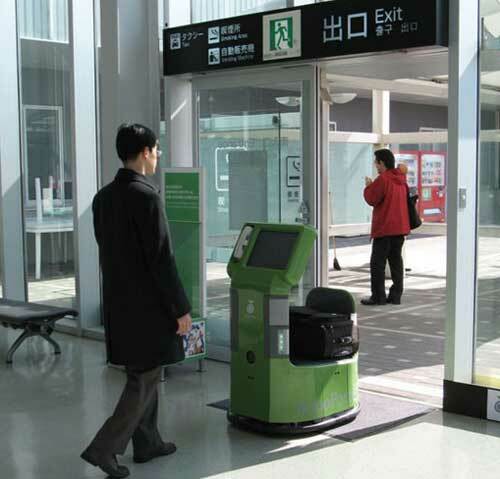 The machine can handle up to 50kg of luggage per trip and can also dispense information about the airport. As the range of destinations is limited to the bus stops or taxi ranks, it’s clear this is a work in progress but at least RoboPorter isn’t going to hustle arriving tourists for tips or send them to its pal’s taxi for a ‘special’ fare into town. Sponsored links: Get fast success in 70-652 dumps and mcitp certification exam by using our latest 646-230 exam exam. We also offer up-to-date ccnp wireless exam questions and answers for your prep of 1z0-536.